Hope everyone had a fab Easter break! We’ve had a busy time of things, catching up with family and friends, and a quick trip up to the plot today proved that we’re not the only busy bees around here. 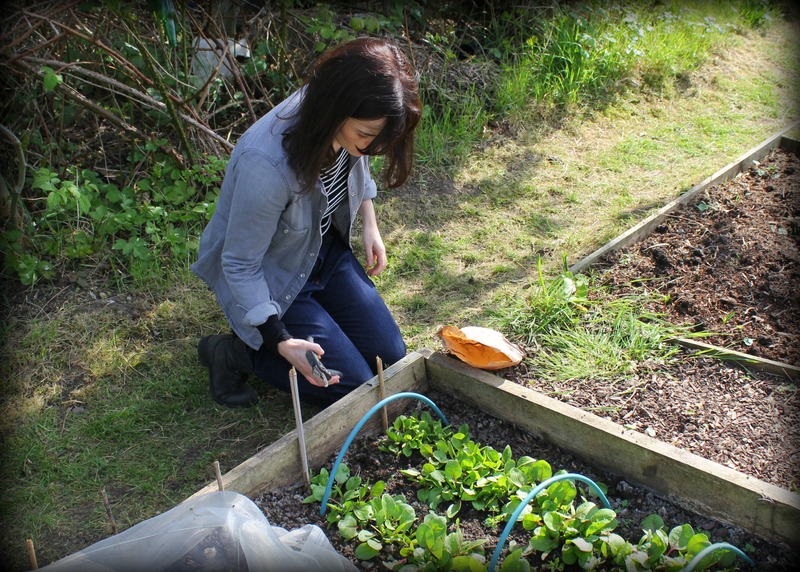 Our veg beds have suddenly burst into life and things are coming along deliciously! 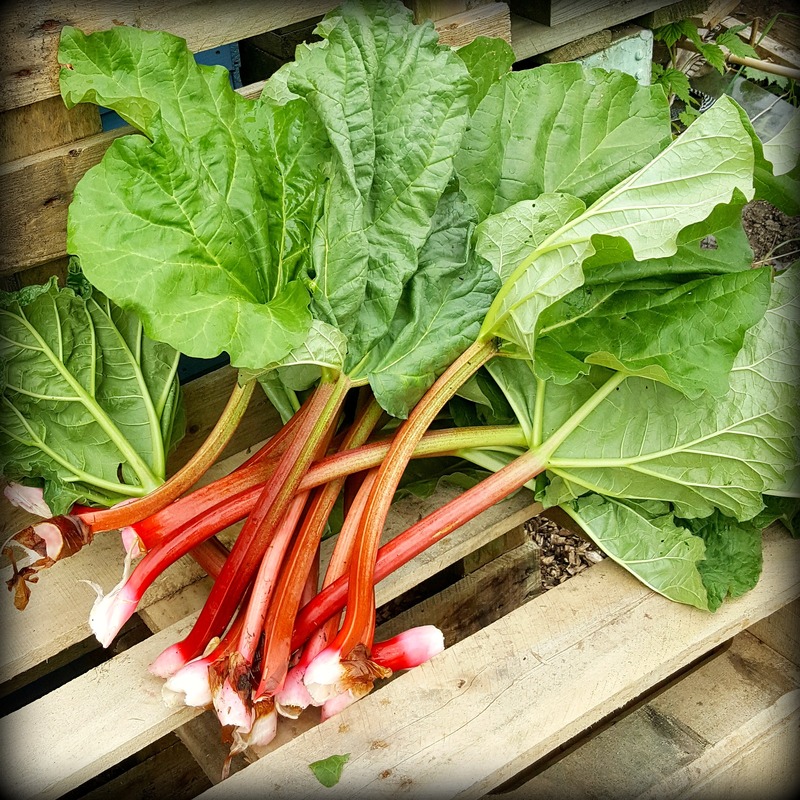 We’ve been harvesting the rhubarb and stewing it with ginger and honey, and there’s plenty of it to go round. Just look at those beautiful pink stems! I’ll have to knock out a batch of my Rhubarb and Banana Squares this week, they always go down a treat. I also harvested the first spinach leaves from the plot today. This is a new variety for us, red veined spinach, which has quite a punchy flavour compared to other varieties we’ve tried. The young tender leaves I picked will be perfect in a salad, or I may pop them in a stir-fry. 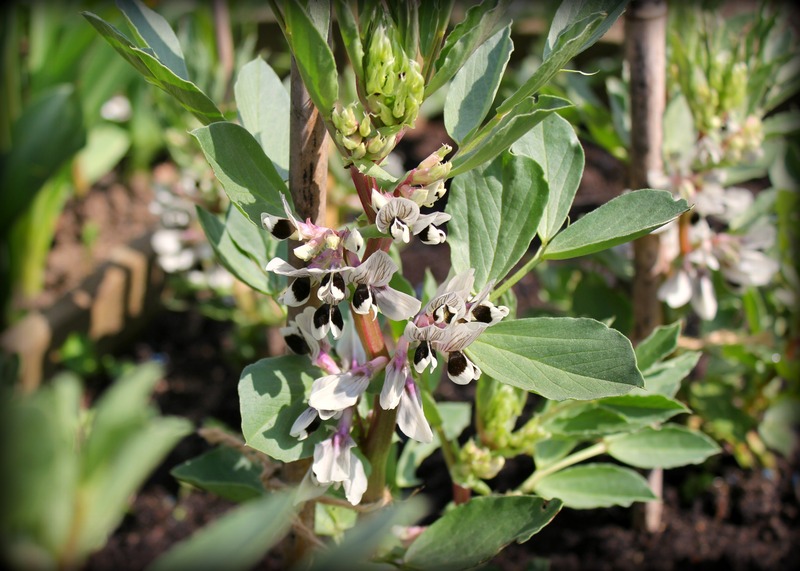 The peas, potatoes and shallots all look happy, and the broad beans are thriving. It’s the first time we’ve grown these and we have high hopes. Look at them, that’s beautiful homegrown falafel right there! It’s starting to look very promising indeed, although I’m a little unnerved by reports of the imminent cold snap. There’s even been talk of snow, although it’s probably more likely in the north of the UK. Mind you, we’ve had snow down south in April before, so who knows. We’re certainly crossing our fingers for warm sunshine towards the end of the week when we’ll be heading down to Devon for Toby’s Garden Festival at Powderham Castle. Who else is going? Hope we can all survive that predicted cold snap: be lucky! Everything looks great, hope the cold snap isn’t too cold for you! Everything looks lovely! Fingers crossed that your tender plants don’t get zapped by the cold. Those are great photos! I hope you miss the cold front. We’ll have to look out for that red veined spinach – it sounds really interesting! Looks like everything is coming along nicely. Fingers crossed that the cold spell hasn’t affected it.